WCRE is proud to have exclusively represented Industrial Realty Solutions, LLC in the leasing and marketing of 11 Enterprise Court, an approximately 9,330 square foot office/warehouse space in Sewell, NJ to The Greater Philadelphia Aquatic Club. The Greater Philadelphia Aquatic Club (GPAC) will be opening this new location in early 2016. GPAC is one of the top USA Swimming clubs in the nation. They provide all athletes with the tools to become excellent swimmers and citizens. GPAC teach swimmers of all ages and abilities the core values necessary to achieve at the highest level of swimming, both as a team and an individual. 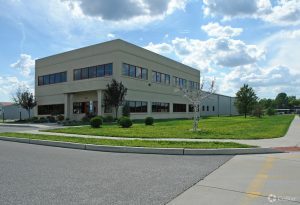 11 Enterprise is a 55,000 square foot office/warehouse building located in Sewell, NJ. 11 Enterprise has been successfully leased to 100% occupancy by WCRE. This well-located property is situated off Delsea Drive and is conveniently located within 1 mile of Route 55 providing for convenient access to all points in Southern New Jersey. Chris Henderson, Senior Associate of WCRE exclusively represented both the landlord and the tenant in this transaction.